Fiction or Non-Fiction? Genre? Young Adult Fantasy. Mythological. What Lead You to Pick up This Book? 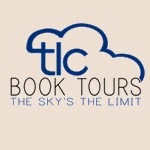 I am reviewing this book as part of a TLC Book Tour. Summarize the Plot: We have two young girls: Trotter and Alice. Trotter is aware of who she is and knows that she has special powers. 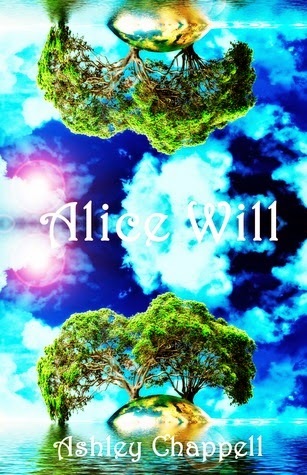 Alice is an orphan, being treated badly, who is growing into abilities she didn't know she had. Trotter is told that she holds the ability to stop some violence that is moving into the world. But, Alice's youth and innocence are making things even more difficult for the world. There is a war coming and it has interesting players. This book also has a talking cat named Prowler that serves as Trotter's companion. What Did You Like Most About This Book? There were a few things... First of all, I really like talking cats in books. I know it is silly and drives some people crazy, but think it is fun and Prowler definitely added comedic relief. Then, I really liked the mythology in this book. It was a bit rushed in the sense I wish I knew more, but it was still a creative idea. And, as always, I enjoy books where women save the world without help from men. Just saying! What Did You Like The Least? In the interest of full-disclosure, there were a bunch of typos in this book. Just words that should be other words basically. Sometimes it wasn't a big deal, but other times it sort of jolted you out of the story. I really don't have any major to say against the book, but it did take me a while to get into it. There were a few inconsistencies... Nothing major, but just little things that I didn't really either believe should be part of the narrative or didn't fit with the world she has created. What Did You Think of the Writing Style? I always seem to answer this question in earlier questions... Basically what I said above... Bit hard to get into and needed a little more editing. What Did You Think of the Main Character? I will talk about Trotter and Alice in this question. While this book is essentially about Alice, Trotter is the recurring character for the series. Alice is almost 7, an orphan, and rather naive about the world. When she discovers that she has amazing powers, she sets out to create a world that will make her happy. The problem is she has seen so little of the world and experienced so few things. This makes her limited in her creativity. She is a cute kid, though, and just wants to be happy and have people love her. Then there is Trotter. It is less of a secret to her about who she is and she is 14. This makes her less naive and innocent than Alice. Not entirely, though, because she is still just a kid. That's where Prowler, the cat, comes in. He keeps her balanced. Trotter is the one that we will see grow in Chappell's series, so it will be interesting to see where she is headed. Alice and Trotter may seem different, but they have a lot of similar characteristics and made for readable characters most of the time. What Did You Think of the Ending? Well, it wasn't a cliffhanger, so it had that going for it. It might have been a bit too perfect, but maybe I am used to books having lots of lose ends in this world of constant series. Frankly, with a few interesting revelations, the ending was not amazing. It wasn't terrible either. It was just the ending. Recommended, but with a few reservations! I had to laugh out loud when I read your statement about talking cats in books--I had just told a friend I get annoyed when I am reading a cozy mystery and the cats begin to talk. I can only tolerate talking animals in certain types of books. I've been curious about this book, but also leery. I am leery of most young adult book nowadays. Too many disappointments. The story sounds interesting, and I'm curious about Trotter. I love the idea of animals that can converse. The wolf in Robin Hobb's The Assassin's Apprentice remains a favorite character. Oh, maybe I shouldn't get started on favorite animals that speak! I think I'd enjoy a talking cat, and I know my son would enjoy reading about one! I was in when I read the phrase "premature smiting". I have mixed feelings about talking animals in books. If it's a book that is supposed to be "real" than it drives me crazy but it does make sense in a fantasy book. It sounds like this could be really interesting.